South Korea’s No. 2 mobile carrier KT Corp and Verizon Communications today jointly demonstrated the world’s first hologram call on a fifth-generation network. 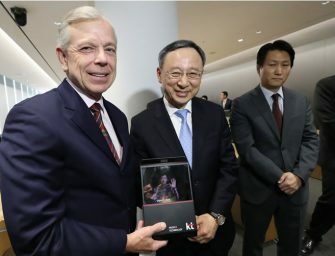 KT’s head Hwang Chang-kyu and CEO of Verizon Lowell..